This entry is filed under Content Management CMS, Interaria Portfolio - Featured Work, Web Application Development, Web Design & Development and tagged branding, Web Application, Web Development.Comments Off on Project Lauch: Play It Safe! Play it Safe!® is a child abuse awareness and prevention program developed by The Women’s Center of Tarrant County. The program incorporates age-appropriate scripts and movies to teach children how to reduce their risk of sexual and physical abuse, and sexual assault. In the past, the ordering of any Play It Safe! material was done via phone or product order forms. 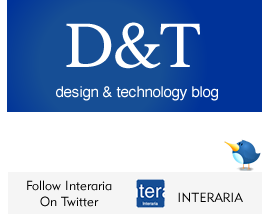 Interaria was called in to modernize both the ordering system and the overall web presence of the program. Interaria developed a full custom solution for online ordering of the program material and online management of the user accounts. Schools, applicable organizations, and parents may register on the site and create an account for viewing the store material and placing secure online orders. Each shipped video order is also credited and tracked with a one-year-subscription of unlimited online watching access. Our process included weekly meetings with The Women’s Center of Tarrant County to finalize the site development plan and online store features. We consulted with the team and reported at every step during the website and web applications development. The key development milestones during the project were overviewing and discussing site features and elements such as the visual design of the site and brand integration, content structure and navigation, the integration and use use of the Interaria content management system, shipping fee calculators, shopping cart system, check out process, My Account features, and Admin’s features for management of the entire site. As always, the site was designed and developed fully by the Interaria team, project manager and developer James Shields, user experience designer Meri Kuusi-Shields, and software and web application developer Pyry Kuusi. Interaria thanks The Women’s Center of Tarrant County for this great meaningful project and looks forward to supporting the organization with its any arisen web & mobile application needs. For more information, please visit our portfolio case study or call us at 214-909-3900.